Hello friends , my today’s post is about the JAILBREAKING of I-Phone . I-Phone is like status symbol which looks good to see but has no use which I personally feel , anyways . Just 1 hour ago , I have jailbreaked I-Phone 3G of my brother n I got success. 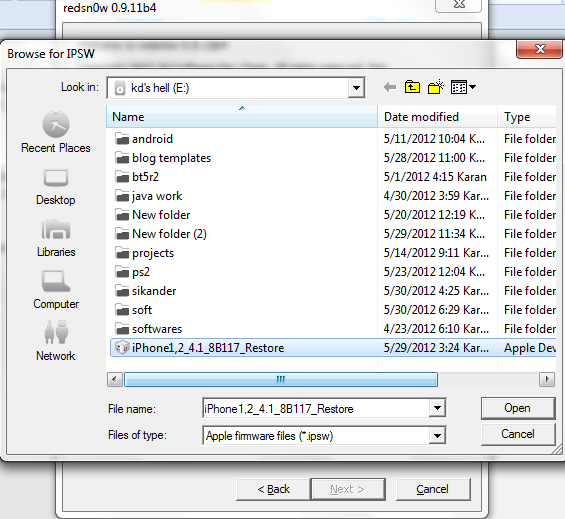 A software which helps me a lot in this is knows as REDSNOW . You can download it by CLICK HERE (it’s only for windows user, as I don’t have MAC). It is simple to do jailbreak. STEP 1 : First of all you have to search for update file for your suitable I-Phone. It’s extension is (.ipsw) . You can download it from i-tune. Connect and search and download it , it will be around 300MB. STEP 2 : After that run redsnow and you will find a screen like below. 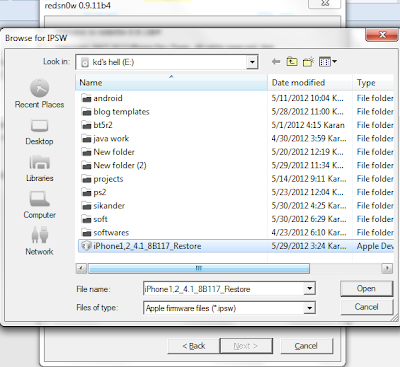 STEP 3 : Click on EXTRAS –> Then select SELECT IPSW and select your downloaded file. STEP 3 : After selecting your file , click on BACK. STEP 4 : Select the option Jailbreak. , it will provide you a lot of options to select. Select according to your choice , rest of the small work will redsnow tell you. STEP 5 : Enjoy your I-Phone.